Our laser engraved “No. 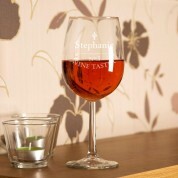 1 Wine Taster” glass is a great gift for anyone who likes to think they are a wine connoisseur. The classic and timeless design is personalised with their name, making it a truly unique present. 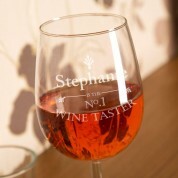 It features elegant shapes and text, similar to the label on an expensive bottle of wine. 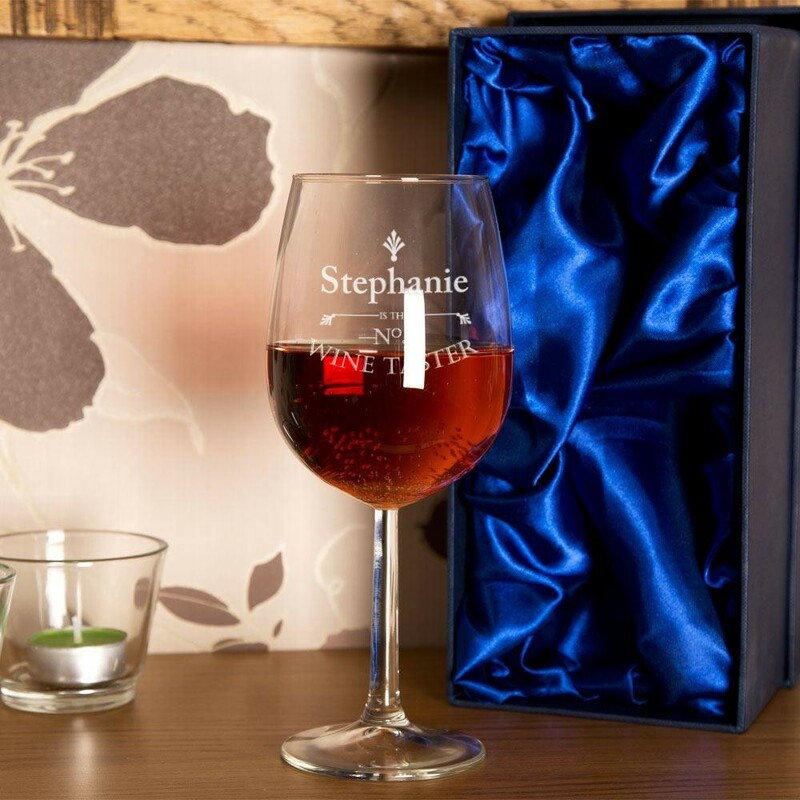 It is a beautiful keepsake gift for any landmark occasion – birthdays, retirement, and many more. 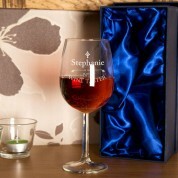 All of our wine glasses are designed and engraved in house.